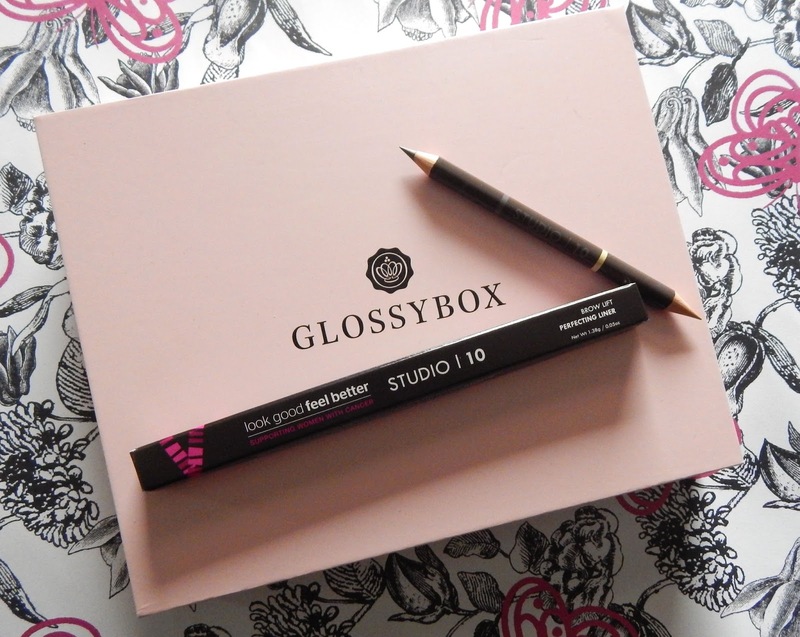 Glossybox is one of my monthly beauty subscription boxes and always has some good items inside. This months sneak peak told us we would be getting a Studio 10 Brow product, I love trying new brow products so I was super excited about this. My box arrived a few days after the dispatch date just like normal, the delivery service with Glossy is awesome. Boxes are delivered with Royal Mail and in secure boxes so I'm never waiting around for my box and I know my box is safe. This brow product is a duel ended pencil with a brown shade on one end and a highlighter on the other. The pencil is full size, cruelty free and the brand is supporting the charity Look Good Feel Great which is a great cause! The product itself is easy to use with being a pencil, just use the brown shade to fill in brows and use the highlighter below the brows and blend using your finger. I found the pencil to be very hard on my skin at first, so I drew on the back of my hand a few times with it and the pencil soon softened up, this was the same on both ends. The brown shade is perfect for me as my brows are quite dark anyway but might have to be used lightly on blonder brows. The highlighter is brilliant for outlining the brows but I prefer my cream highlighter for highlighting a larger area under the brows. 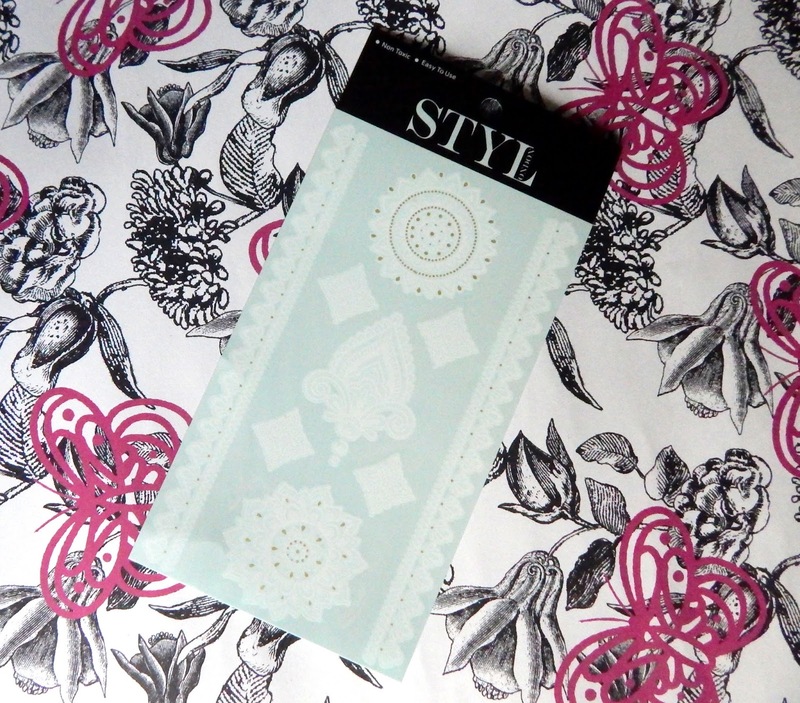 This product is a handy item to have in your makeup bag and would be great in your handbag because it's a two in one. I actually didn't know Next had their own makeup range because I don't go into Next to shop that often, if ever, so it was nice to receive this lip chubby and discover the range. This is another full size item in this months box and I really like the lip shade, I received the Hot Pink shade which will be perfect for summer, it's bright and eye-catching. 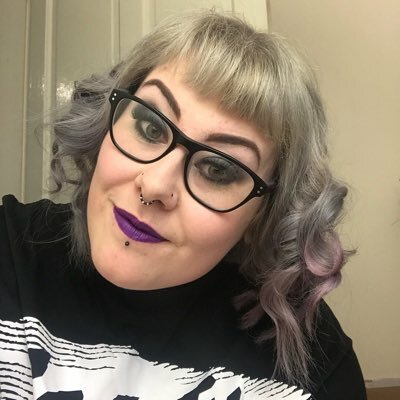 The product is like a crayon and easy to apply onto the lips, it smooths on and one coat is enough however I found it to smudge a little too easy for me so reapplication is a must. How didn't I know about this product before??? I'm a bugger for smudging my nails straight after applying polish and having to start over. 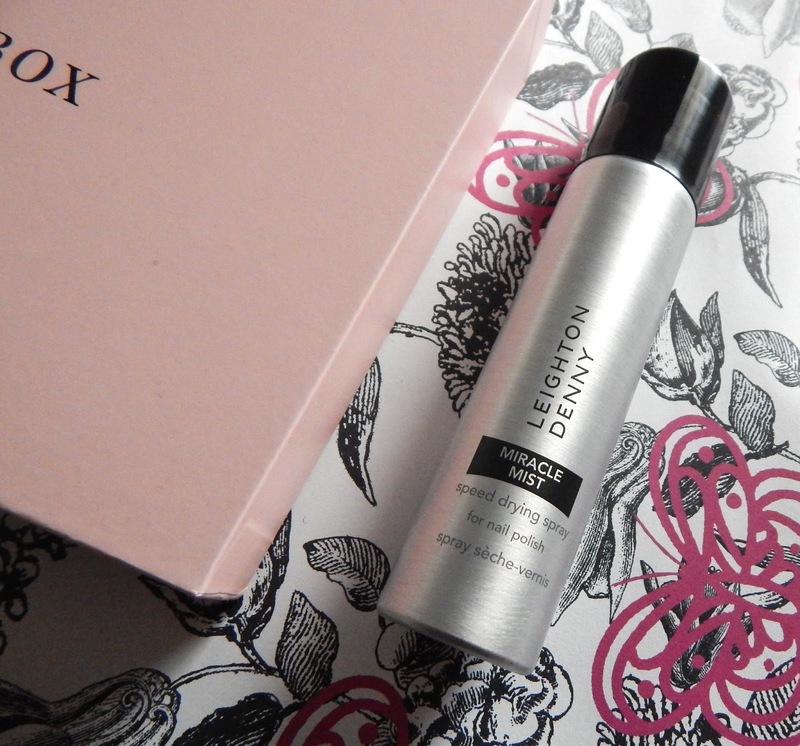 This miracle mist from Leighton Denny is a life saver!! Apply your nail polish, spray this mist over the nails and they are touch dry within seconds, wow right! This is one of my favourite products I've ever received in a beauty box, I love it and will be re-purchasing in the future. Everyone should have this item in their beauty collection, its a different and innovative product that really works! 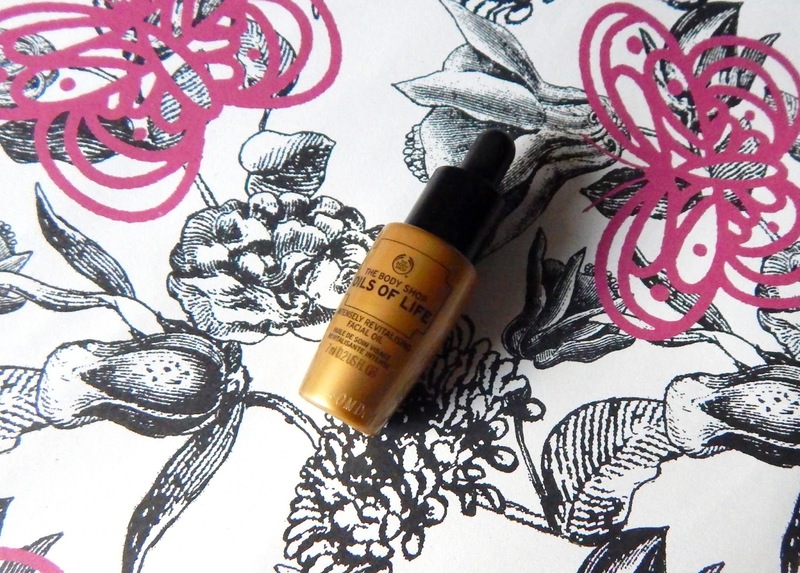 I recently picked up a free sample of the Oils of Life sleep cream from The Body Shop. This was the other sample I could of choose but picked up the cream as I thought I would get more use from it. I have been using both products together since getting my Glossybox and have had excellent results. My skin feels softer than ever and stays soft throughout the day, I apply the oil in the morning before my makeup and the sleep cream at night. I was worried about adding oil to the oily areas on my face but I only use a bit and I haven't had an issue with excess oil during the day. I was a little disappointed in receiving a 'free sample' as an item in my box but with the other four items being full size I think it's OK to add a sample to the box. These stick on tattoos brought the festival season into this months Glossybox for sure. I personally have tattoos and wouldn't of thought to use any temporary tattoos during the summer or anytime really. I think the only place I would apply these are on my hands as an extra something fun to add to a festival outfit. I like that the tattoos are white this brings a girly festival glam to them, the designs are Moroccan themed which is one of this seasons top trends. The tattoos apply just like any other temp tattoos by cutting out your chosen design, placing it on the skin, holding a damp cloth over it then removing the paper after a few minutes. We have all done this as a kid I'm sure. Adding this product to the box was different for Glossybox but I do enjoy receiving different items from just makeup and skin care products. Glossy's it will soon be May and that means another box will be on its way! We already know that there is going to be a Revlon mascara included in the box because we got a choice of which mascara we wanted; I choose the definition style with the purple lid. 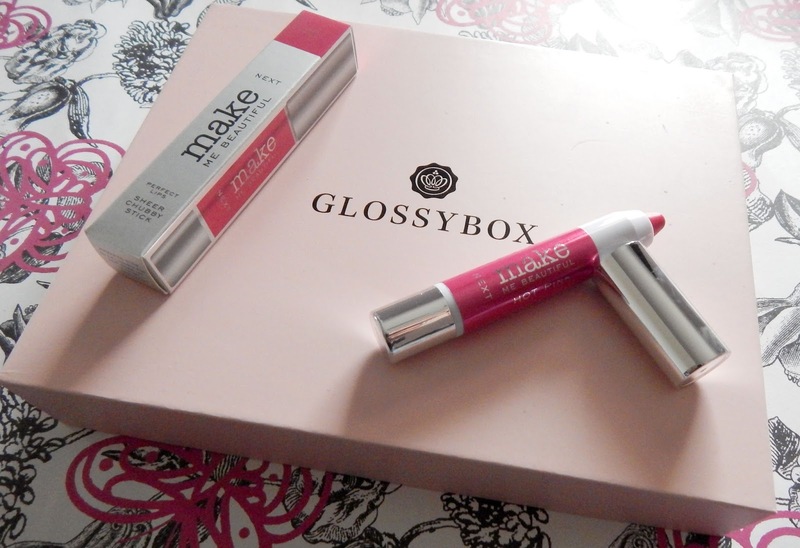 It's so exciting when we get to pick a product or make a choice on an item, I'd love Glossybox to do this more often. 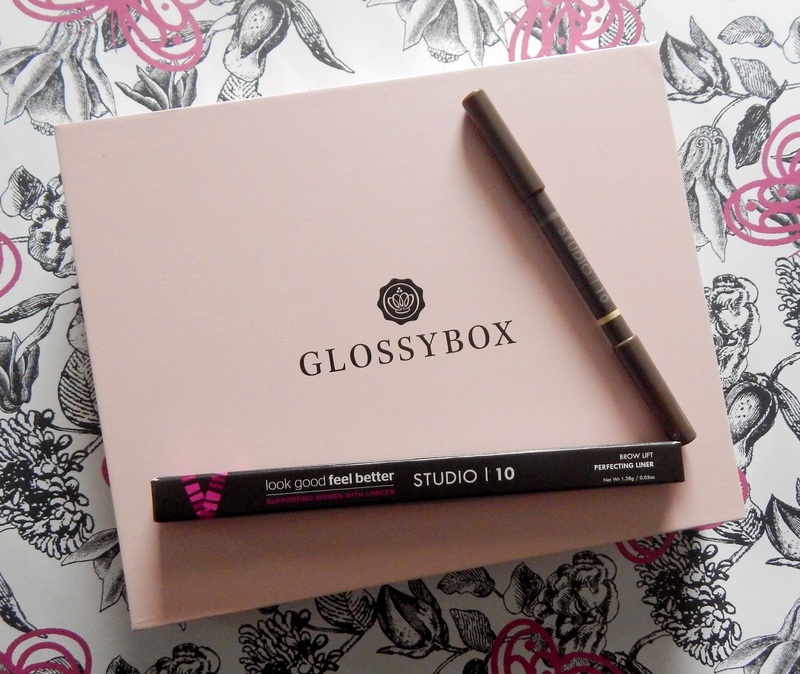 So do you fancy signing up to Glossybox?? Yeah... You can do so here. Let me know what you guys got in your box this month?